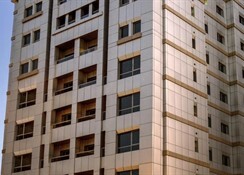 TIME Topaz Hotel Apartments offers well-equipped apartments facing the Mall of the Emirates, just minutes from Internet City, Media City, Knowledge Village, Jumeira beach front,Dubai Marina, Marina Walk . 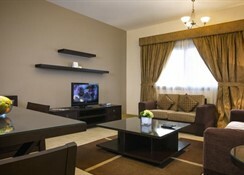 Only 25 minutes from Dubai International Airport, each apartment has its own allocated parking space. 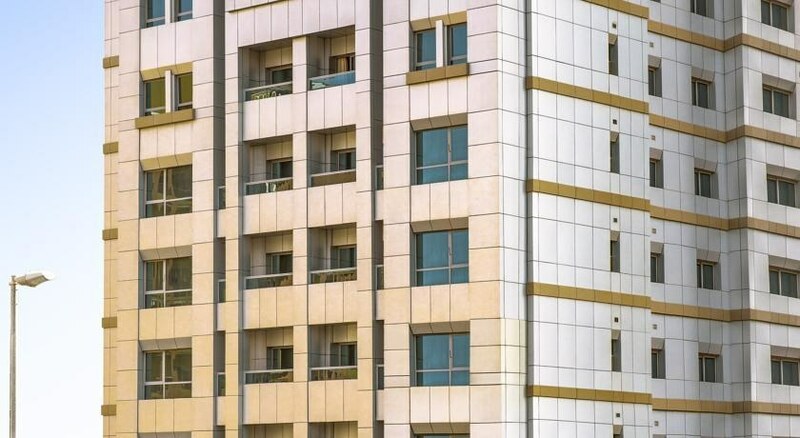 All the 1, 2 and 3-bedroom apartments are tastefully designed and have full kitchens, view, LCD TV, DVD Player, tea and coffee making facilities. 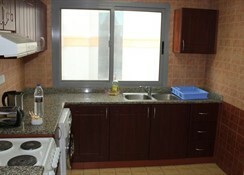 Wi-Fi internet is available throughout the property. All 64 apartments feature kitchens with refrigerators and microwaves, plus washers/dryers and LCD TVs with satellite channels. Guests will also find free WiFi, 2 bathrooms, and living rooms. 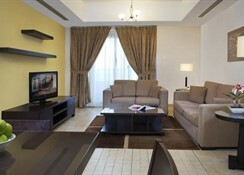 Located in Al Barsha, this aparthotel is within a 15-minute walk of Mall of the Emirates and Ski Dubai. Wild Wadi Water Park is 3.1 mi (4.9 km) away. A restaurant, an outdoor pool, and a 24-hour health club are available at this aparthotel. Free WiFi in public areas and free self parking are also provided. Additionally, a coffee shop/café, a spa tub, and a sauna are onsite. Leisure facilities include pool, sauna, steam room and gym.Located in the enchanting surroundings of Al Barsha, adjacent to the Mall of the Emirates and close to numerous public transport links, this hotel places guests at the centre of activity. Within a short distance, guests can visit the delights of Jumeirah Beach, The Palm Dubai, Knowledge Village and Dubai Marina. The elegantly appointed hotel lobby instantly impresses its guests. After exploring the essence and intrigue of the area, guests can unwind in the elegantly-appointed guest rooms, where tranquillity and rejuvenation await. Guests are invited to enjoy an invigorating workout in the hotel gym, or a refreshing break in the hotel Jacuzzi. Ideal for business and leisure travellers alike, this hotel boasts elegance and poise unlike any other.